Data cabling (or structured cabling) is the foundation of your business network; it connects all your servers, computers, and other network devices together and enables voice, data, and multimedia traffic to be routed worldwide. At IroncladCE our team of communications experts will help put your mind at ease by planning and installing the best cabling infrastructure to exceed your organizations expectations and requirements. From your initial needs assessment, to your network cabling design, and project management to the final delivery, we will be by your side to ensure your next cabling project is completed on time and on budget with professionalism, and meticulous attention to detail. 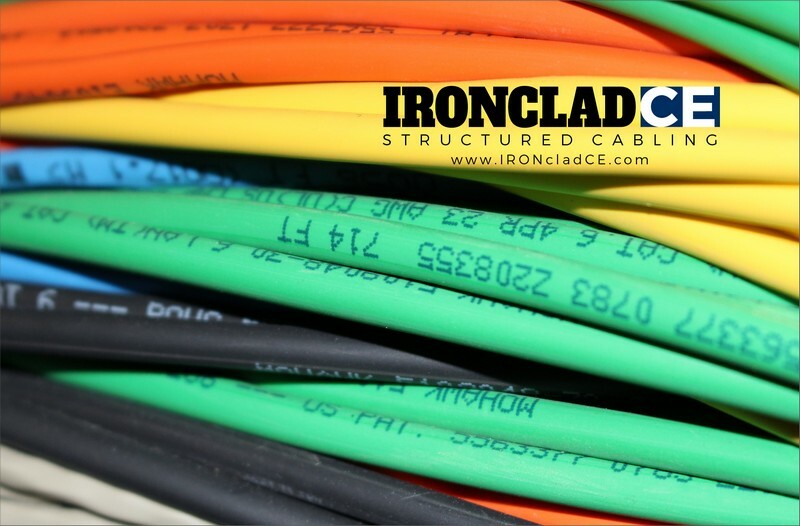 IroncladCE is San Diego’s top choice for structured cabling installation and campus cabling arrangements. Connecting your video surveillance, wireless networks, wired internet connections, telephone systems and Wi-Fi hotspots to the MPOE (minimum point of entry) is a time consuming and difficult job. At IroncladCE, we’ve got you covered. Read more about IroncladCE’s Data Cabling Services or contact us today at 858.558.8621.